The Battle of the Nile made countries feel they could win against the French in battle and would bring a host of countries that would sign up for the 2nd Coalition. Getting the Russians to join was a huge help for the coalition, giving tons of men and supplies to help with the fighting. The French were overrun on all fronts, even losing General Joubert in Italy which was a huge loss. To combat these losses, they would start the first permanent law of conscription (draft) in the summer of 1798 so that they would have enough forces to fight. This law became breathtakingly unpopular within the country and many of the peasants would revolt over it for years to come. It also caused revolts in all of their other territories (especially in the Belgium). The French would blame the priests for this, deporting over 8,000 priests to other countries. Napoleon chose to attack Italy again during this coalition because the Austrians had taken Italy back while he was in Egypt. His troops would cross into the into Italy through the Alps to fight what is known as the 2nd Italian Campaign (1800). 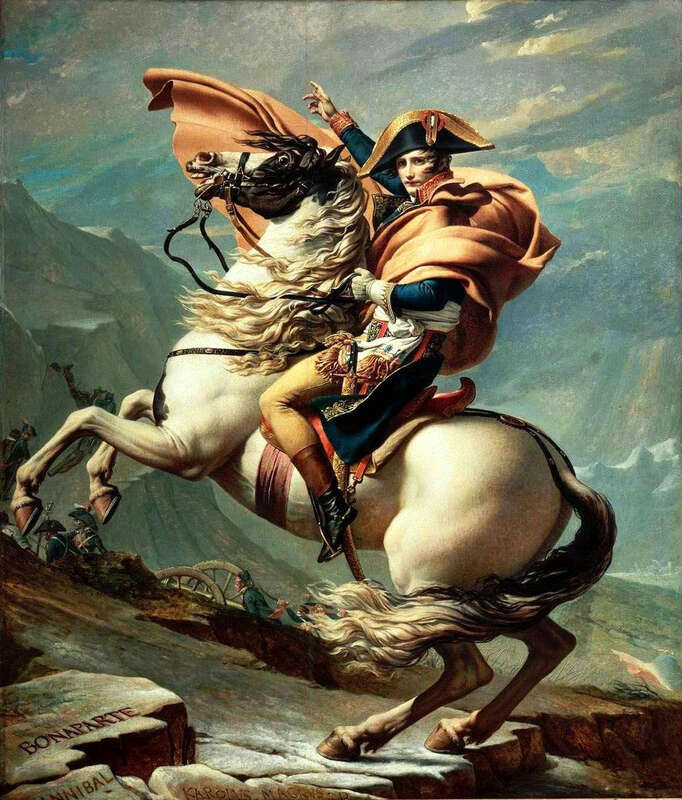 This trip was immortalized into a painting of him riding a horse through the Alps, which was completely fabricated. He actually would take this trip on a donkey, but had the other portrait done as a form of propaganda to make him look cooler than it actually was. Among the most important of the battles of the 2nd Italian Campaign was the Battle of Marengo (1800), which was fought near the city of Piedmont. The French had used their march through the mountains to surprise the Austrians in this attack and cut off many cities from their supplies. Once the Austrians realized what was happening they pushed the army to march quickly to Piedmont to help with the fight there. Unfortunately, for the Austrians, they pushed the army too hard and many of their men were left behind in the quick march toward the battle. Austrian men would continue to trickle into the area for days after the battle started. The straggling army didn’t hurt the Austrians as bad as one might expect in the early part of the battle. They would push the French back quickly and take the superior position on the battlefield and it looked as if the French might lose. The French counterattack would devastate the Austrians even though they had such a strong position. The Austrian army retreated in disarray after losing half their troops in the quick battle. This win would be the one that led to eventual success for the French, and would cause Napoleon to be even more popular back home.